Do you need to reinstall OS X on your iMac? Is your operating system not functioning the way it should and needs to be reinstalled? iMac OS X installation is what you need. Are you having trouble upgrading OS X? 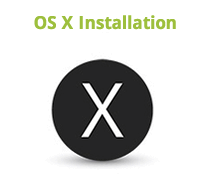 We can install and configure a clean version of OS X on your iMac. We can install OS X for you usually in just a few hours if you don't require a backup of files. If you need to backup your data, it can take 1-2 days depending on the size of the backup. The service price includes installing OS X and all updates, useful freeware utilities and software plus any software you have licenses for. There is an extra charge of R600 if you want your data backed up and returned in your new OS X installation. We will fully test your iMac AFTER the repair before returning it to you.